Mrs. Fatima Al Jaber, the company’s Chairman, is an engineer by profession and has gained extensive experience in the construction industry. 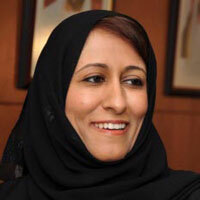 She is currently the COO and Executive Director of the Board of her family business, the Al Jaber Group. In addition, Mrs. Fatima Al Jaber holds Board level positions with a number of high profile companies such as The National Investor, Al Khazna Insurance Company, Al Jaber Holdings and the Abu Dhabi Centre for Corporate Governance. In 2007, Forbes Arabia voted Mrs. Fatima as the seventh most influential woman in the Arab world and in 2008 she became one of the most influential business women in the region for the year according to MEED. Mrs.Fatima has a prominent role as Deputy Chairperson of the UAE Businesswomen’s Council and is actively involved in the economic development of businesswomen. Mr. Al Qassim heads Waha Capital’s Principal Investments team, managing strategic proprietary investments, such as AerCap, Dunia Finance and Waha Land. He sits on the board of a number of companies, including Bahrain’s Addax Bank, Al Bashayer Investment Banking, First Education Holding; in addition to serving as the company’s representative on Dunia Finance’s board. Prior to joining Waha Capital in 2009, Mr. Al Qassim held various positions at the Executive Council in the Government of Dubai, Dubai Islamic Bank, and Dubai Aluminum Company. Mr. Al Qassim is a UAE national and holds a BSc. (Hons) in Applied Computing from Leeds Metropolitan University, Leeds, UK and a Master of Business Administration (MBA) specializing in Finance & Investments from Monash University, Melbourne, Australia. Mr. Jassem is the Vice Chairman & CEO of Arzan Financial Group. He has over 30 years of experience in different industries. Mr. Zainal holds board membership in many companies such as Miami International Holdings INC (NY, USA), Kuwait International Bank (Kuwait), ADDAX Investment Bank (Bahrain) and Bank of Bahrain & Kuwait (Bahrain). He is known for restructuring and turnaround skills which were evident in the companies led by him. Earlier, he held the position of Chairman and Managing Director in both Z-Invest, an investment firm in Kuwait established in March 2005, and Automated System Co. For 25 years, Mr. Zainal worked at Gulf Bank Kuwait, where he held different positions like Corporate Secretary (Spokesman of the Bank) and General Manager of the Investment Group as well as Acting CEO. In his illustrious career he has been Chairman of Khaleej Islamic Investment Bank in the Kingdom of Bahrain as well as Deputy Chairman of Al Madina Finance and Investments, in Kuwait. Mr. Zainal is one of the founders of Addax Investment Bank, Bahrain. Mr. Zainal, is widely acknowledged as one of the best seasonal investors in the region. He graduated with a Bachelor of Science in Civil Engineering and a Bachelor of General Studies in Mathematics from University of Miami. He also got his Masters of Science – Civil Engineering – from Kuwait University, and completed several Executive Programs in Harvard, Wharton and other prestigious institutions. 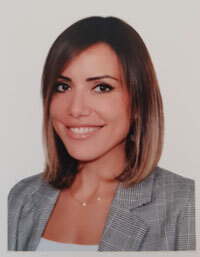 Mrs. Noora Mustafa Hamid has gained extensive experiencein financial instrument trading, in the UAE Markets as well as in the International markets. She Co-founded and managed a multimillion dollar capital company in Abu Dhabi that managed portfolios for a variety of investors from across the region and the world. Mrs. Noora holds a Bachelor Degree of Commerce in Decision Sciences and Management Information Systems from Concordia University in Montreal, Canada. In 2011,Arabian Business Magazine voted Mrs. Noora as one of the most powerful 100 Arab women in the world. Robby Zahr AMCT, ACA, CMA is an Australian Chartered Accountant (ACA). He was born and educated in Australia and holds a Bachelor of Science Degree majoring in Commerce and Mathematics from the University of Adelaide in Australia. He is also a Certified Corporate Treasurer/Certified Risk Management Professional (AMCT) from the ACT – UK, and a certified Management Accountant (CMA) from the US. He has 32 years of work experience of which 8 years were spent in Australia including 5 years with Coopers & Lybrand (now PWC). He is currently the Group Risk Management & Compliance Director of the AL Jaber Group and GCFO of the Al Jaber (UAE) family office having spent the last 24 years with the group holding several roles including Chief Internal Auditor, Group CFO and Group Treasurer. 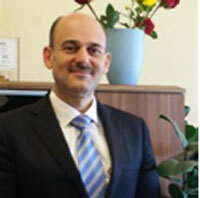 He has experience in and exposure to Financial Reporting & Analysis, Management Accounting & Budgeting, Banking, International Treasury, Capital Markets, Corporate Ratings & Bonds, Trade Finance, Financial Derivatives, Internal Audit, Risk Management, Corporate law, Corporate Governance and Debt Restructuring. The Al Jaber group is one of the largest private sector groups in the GCC and has diversified interests in many areas including Contracting, Manufacturing, Trading and Logistics. They have had an annual turnover around 2.5B USD for the last 10 years and are based in Abu Dhabi, with an international presence in many countries including Qatar, KSA and Singapore. From our multi cultural management team of experienced senior professionals to all levels throughout the company, we accept nothing less than complete professionalism and business excellence. Because it’s all about the people, we’ve searched the investment industry to find the most gifted professionals I the field.